Albarracín is not easy to get to, which is likely its saving grace; it’s reachable by car or a once-a-day bus. 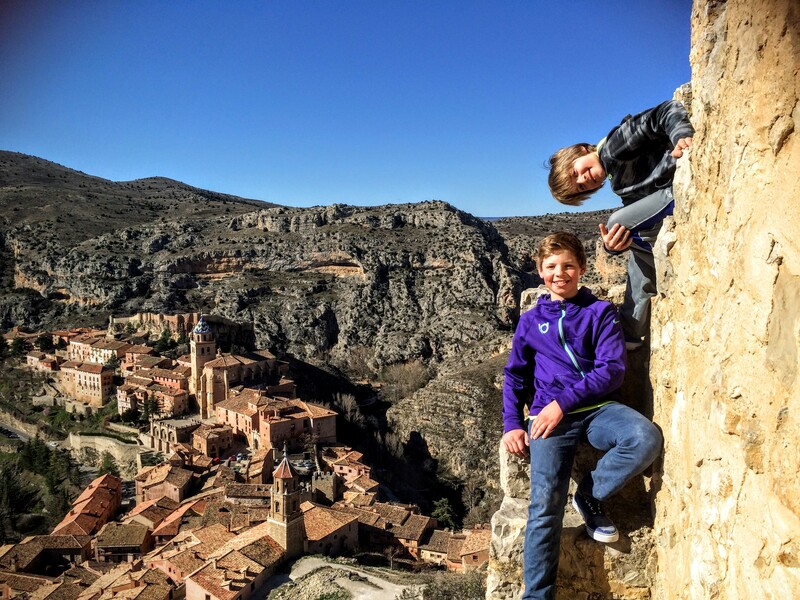 Three and a half hours from Madrid, Albarracín’s closest major city is Valencia, so the vast majority of tourists are Spanish day-trippers. My guess is that it may get crowded in the summer, as apparently tourism is its number one industry, but when we were there, the village was blissfully quiet (yet not ghost town-ly so). Regardless, we also appreciated the lack of tacky souvenir vendors – much appreciated after the abundance of Made-in-China key chains and snow globes in still-charming-but-overly-touristy Tuscan hill towns. Some forward-thinking folks led the restoration of Albarracín in the early 1960s, leading to a monochromatic and clean charm: the Holy Grail of adorable European villages. The blend of Islamic and medieval architecture reflects its centuries of wars and peace. In the morning, we explored the old city walls, fulfilling Ernst’s most heartfelt desire: to climb ruins (second only to exploring caves). After taking in the gorgeous vistas from on high, we then descended back down into the warren of medieval streets. I was utterly entranced and I could easily imagine the local monarch monitoring the next wave of invaders. Pun-íscola. We reluctantly left Albarracín behind to continue our journey, making our way to the Mediterranean coast of Spain. I think some of our Spanish friends thought our next stop was a little random, but I had carefully crawled the coast with Google Maps to find a Mediterranean coastal destination within reasonable driving distance and cross-checking various towns for appeal with my other travel resources. In the end, I have to admit, we went with it (at least in part) because of the name: Peñíscola… hilarious to our tween boys. And no, the jokes never got old (am giggling right now). Peñíscola (tee hee!) apparently suffers from obnoxiously huge crowds in the summer. But I was pleasantly surprised that at this time of year (just after Easter), it was pretty and charming and suited our purposes well. Unbeknownst to me, our hotel, Dios Está Bien, had changed owners since the time I made the reservation, but – thankfully – the new owners seem terrific. They directed to us to (unpublicized) free parking nearby and were attentive and friendly. 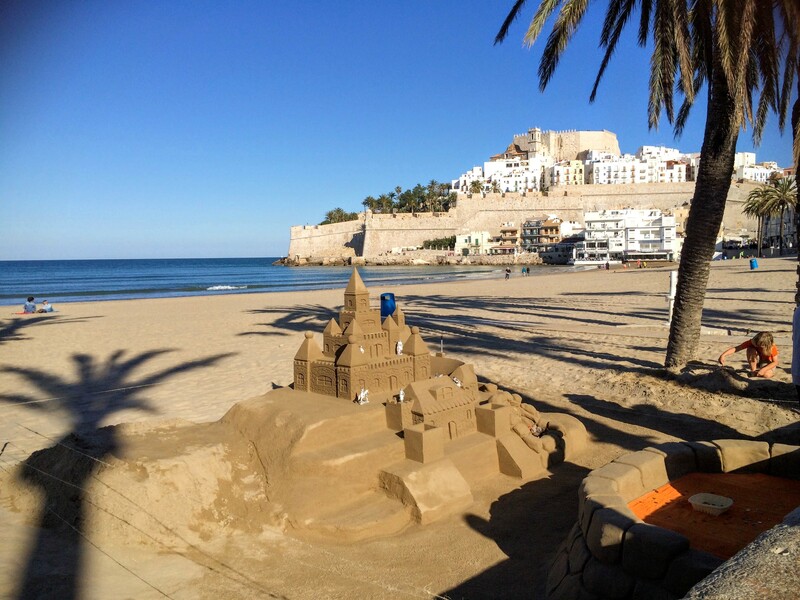 The town’s castle, pretty white walled houses and cobblestone streets rising up from the sea make a beautiful setting – thankfully, as the newer developments along this coastline are pretty hideous. It ended up being a really nice overnight with great seafood and a friendly bar crowd with whom to watch the much-anticipated (in Spain anyway) soccer match, El Clásico, between Real Madrid and FC Barcelona. 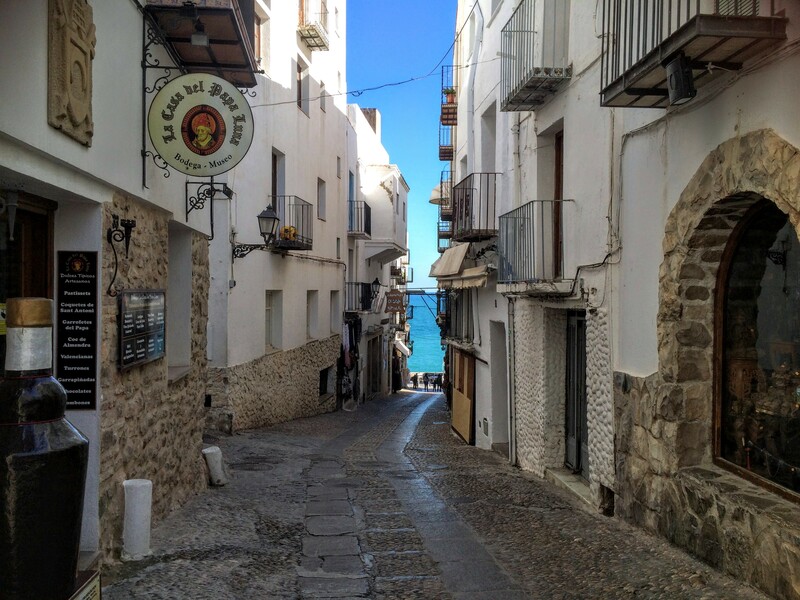 In summary, I’m glad we weren’t in Peñíscola at the height of tourist season, but off-season, it was a great choice – even beyond the pun mileage we got from the name. Game of Thrones fans: apparently you will be seeing Peñíscola this season. Despite lobbying from PapaHatch, I have not agreed to start watching it yet. Sounds too gratuitously violent to me… although I did love The Sopranos, so I guess PapaHatch can still hope, especially since we’ve already been to a couple other filming locations (Iceland, Morocco) and will be hitting another one (Croatia) this summer. Oh mah Gaud! Barcelona! 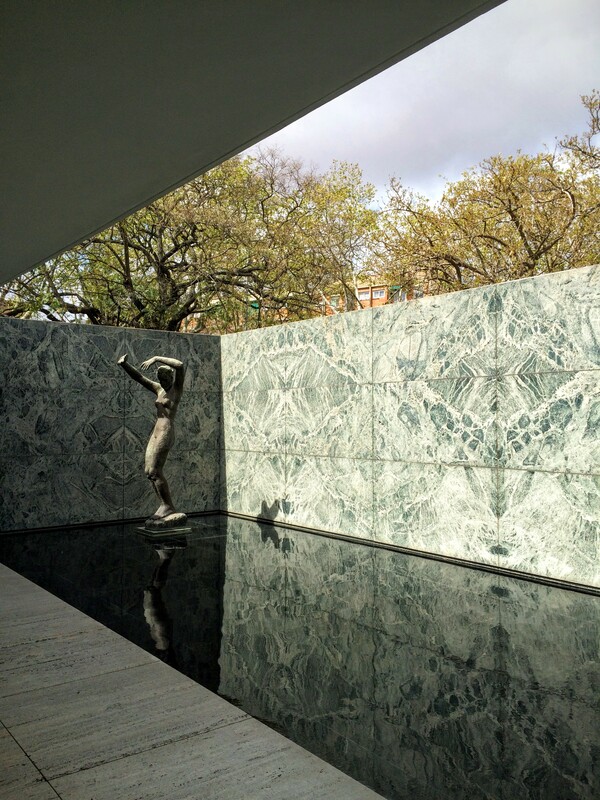 First, we stopped at Mies Van de Rohe’s Barcelona Pavilion, built for the 1929 World Fair. Simple, modern and gorgeous. We also hit a great little Impressionist exhibition at the CaixaForum: paintings from The Phillips Collection in Washington, DC – our old stomping grounds. 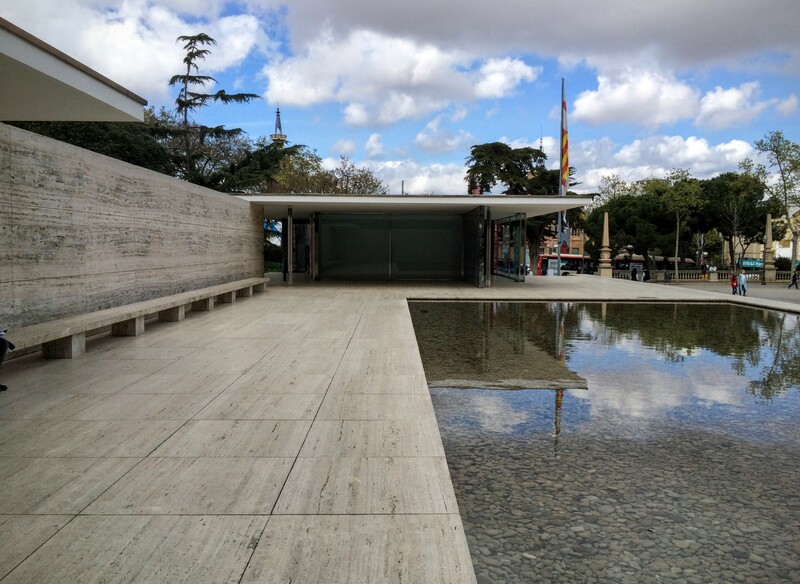 By the way, the CaixaForum was a great place to park for the Barcelona Pavilion (and for the Museu Nacional d’Art de Catalunya, but we didn’t make it there, regrettably), and in and of itself, it always has interesting exhibitions that are either free or low-cost. We ate a very nice lunch at the café there as well. The other thing we skipped, which would have been fun, but energy levels didn’t allow for it, was to see a Catalan “human tower” (Castellers). We had a fantastic apartment right next to the cathedral (not to be confused with the Sagrada Familia): tons of space, tall ceilings, balconies with views. Our main focus in Barcelona was architecture – primarily the city’s favorite son, Antoni Gaudí, a creative genius architect way ahead of his time, whose buildings – designed over 100 years ago – are the stuff of dreams and fantasies. 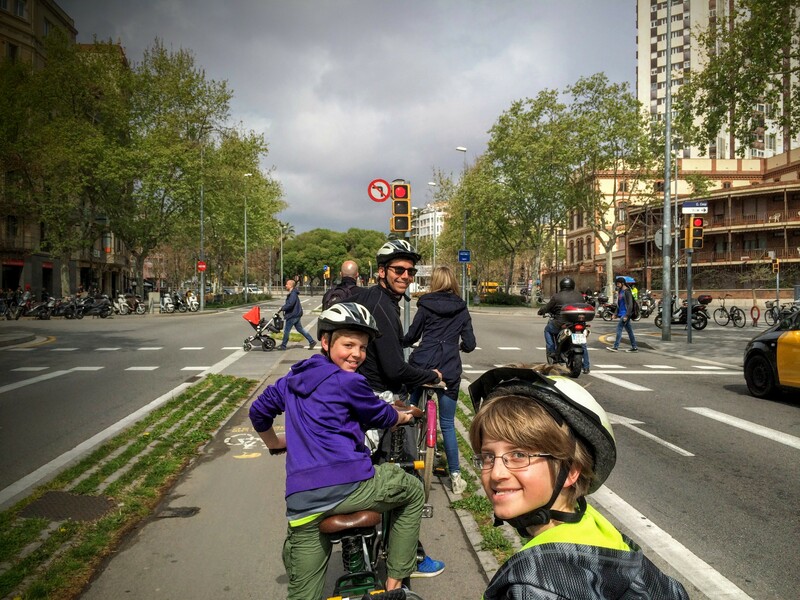 We rented bikes from Green Bikes, and with Barcelona’s cool bike lanes going down the center of some of their biggest avenues, it was actually pretty easy and very fun. We headed to the famed Park Güell, but unfortunately, they weren’t letting anyone without tickets in. Annoying, but I hadn’t want to spend $25 on tickets ahead of time due to the unpredictable weather (it did, in fact, rain all day the next day). 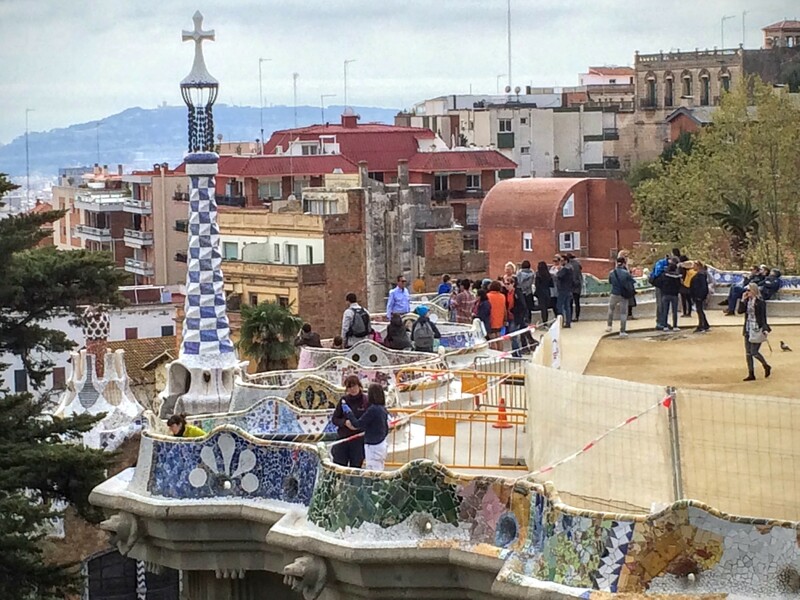 Though I would have liked to get the iconic photo of us sitting on the Gaudí mosaic benches with the cityscape behind us, there really isn’t a huge advantage to getting inside the literal “paywall” rather than wandering around just outside of it. It also featured plenty of the aforementioned tacky key chain vendors – bummer. So after a little walkabout, we hopped back on our bike and made our way to the Gaudí masterpiece, Casa Milá, also known as La Pedrera. Hint: skip the line by buying tickets online while you’re standing right there. This was a fantastic visit and well worth going inside. The real star is the roof – topsy-turvy, otherworldly and fun, this is the stuff that make kids fall in love with architecture (look for the chimney “helmets” that influenced George Lucas and his Storm Troopers). The exhibition in the attic was also super-cool, showing how Gaudí designed his amazing arches and got many ideas from animals and their skeletons (the attic itself looks like you’re inside an animal). 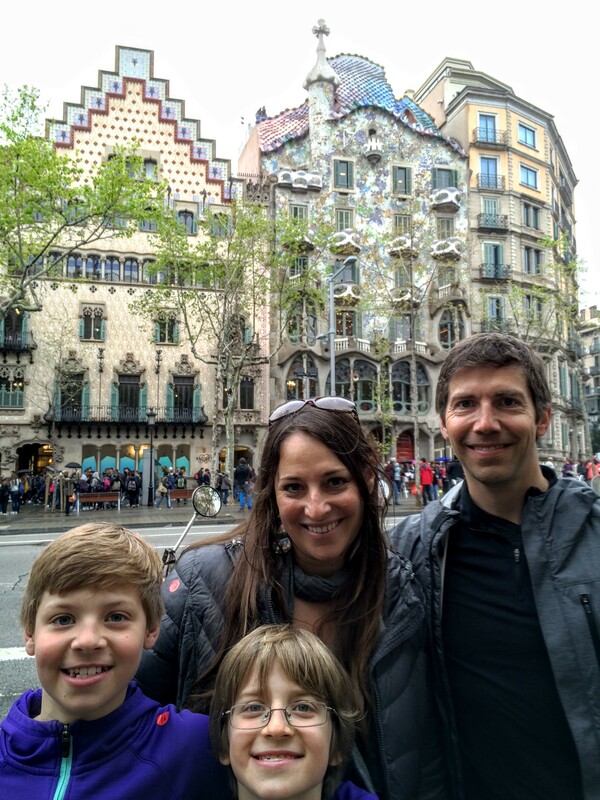 The next day (in the rain, but it really wasn’t that bad), we took a free Gaudí-themed walking tour with Runner Bean. It was great! Well worth the zero money! (Kidding! We tipped well… but a bargain nonetheless). The kids were engaged and interested and asked excellent questions. I was very proud of them! 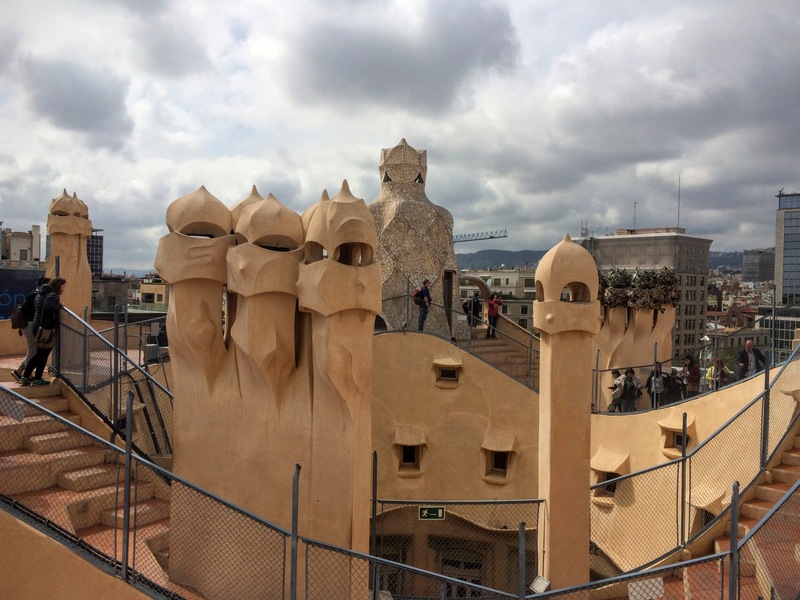 For more on Gaudí, I came across this great blog post about him. 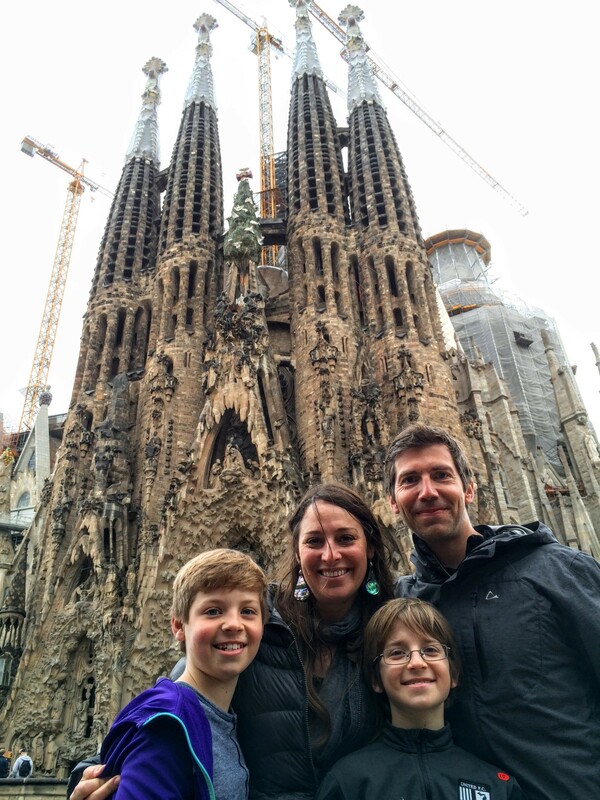 After a fun, fresh seafood lunch near where the tour ended, we were “ready for our close-up” with the main attraction: La Sagrada Familia. Wow. Words cannot do it justice. 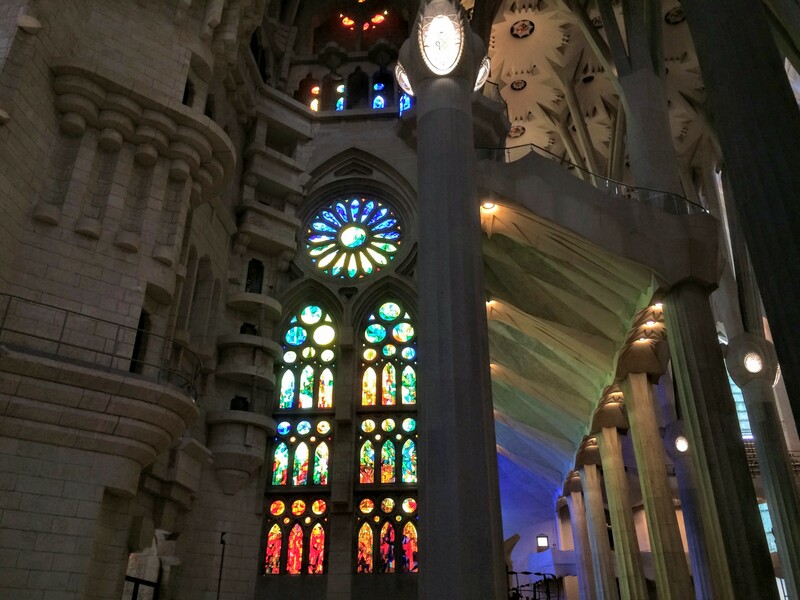 The intricacy, the breathtaking heights of the towers, the explosion of color from the incredible stained glass… it’s so much that it’s hard to process. We were happy we decided to do the one hour tour of the church, even after the walking tour. There’s an excitement about it still being a work in progress – due to be finished in 2026 if all goes well. I’m not religious, but it’s hard not to be moved by it. The best part about Barcelona was once again spending time with friends. A friend and former colleague, whom I’ll call MMX, is a native Barcelonan with an American-turned-Swiss-citizen partner and their delightful daughter, who was just in between the ages of our boys. 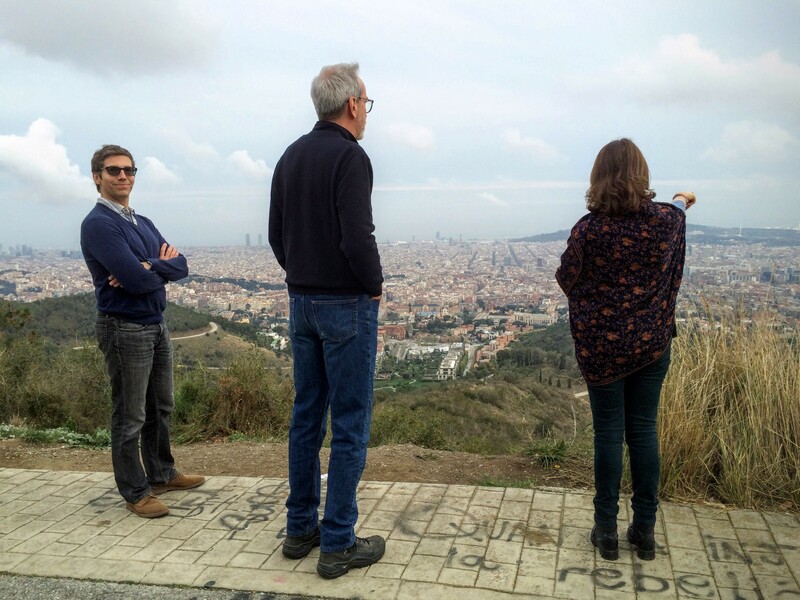 They took us on a walk in their neighborhood with a great view over the city, followed by a simple yet elegant dinner of local specialties. 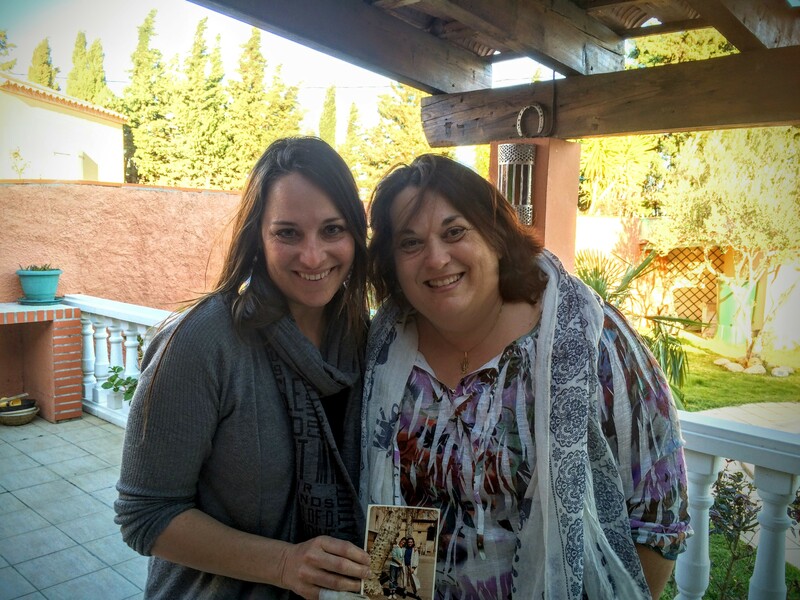 It was the flowing conversation that was the real delight; over the years, MMX and I have traveled together to three continents, so it was really fun to catch up in her hometown. 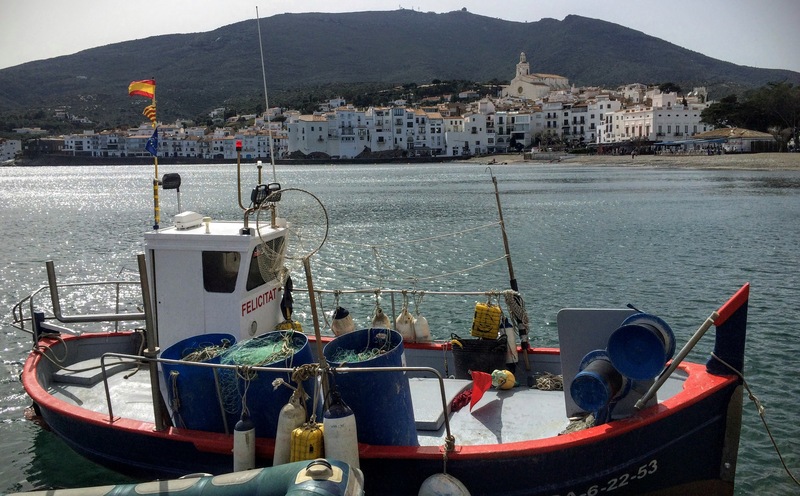 To wrap up our Spanish art theme, we drove out to the beautiful seaside town of Cadaqués, the home of Salvador Dalí. 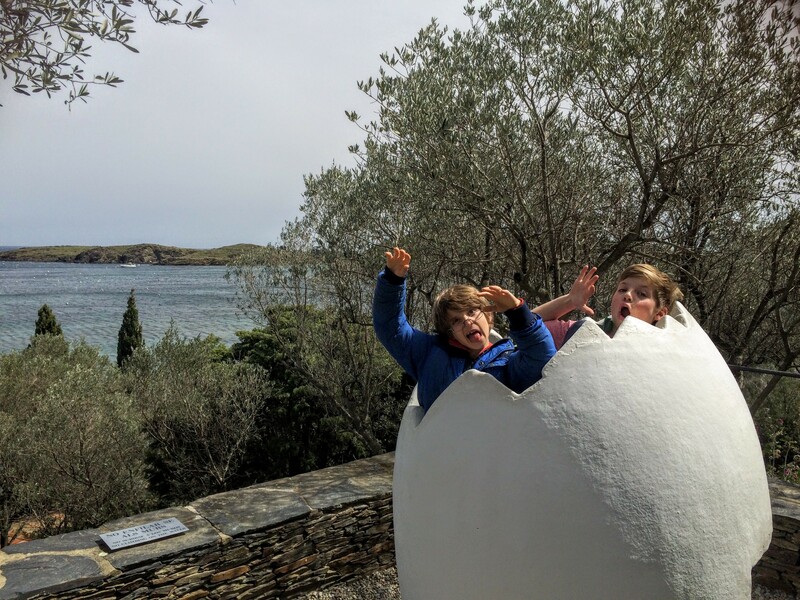 We loved poking around his weird and wonderful house, featuring such oddities as stuffed swans and a mirror positioned “just so” in order for Señor Dalí to be the first in Spain to see the sun rise from his bed. Cadaqués is a place I could spend a lot more time in. As it was, I really enjoyed watching the boys skip rocks on the waves and our walk along the water. ¡Hasta la próxima, España! ¡Gracias! 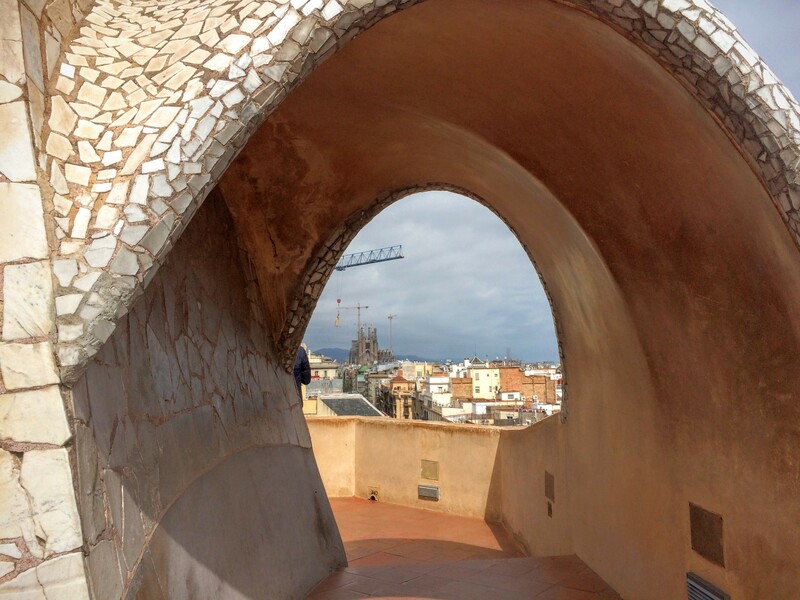 Gaudí’s Casa Milá (La Pedrera) – the roof! 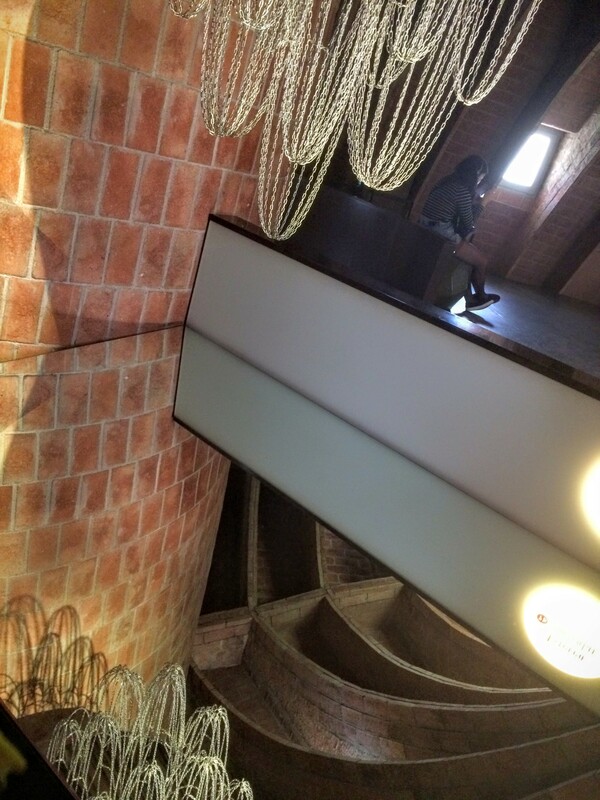 How Gaudí figured out arches – suspended chains from the ceiling & then looked at them upside down. Obligatory shot of Sagrada Familia… ¡Increíble! We then crossed the border back into France to the home of my childhood friend, Geneviève. This is the one friend I keep in touch with from when I was 13 and lived in France. 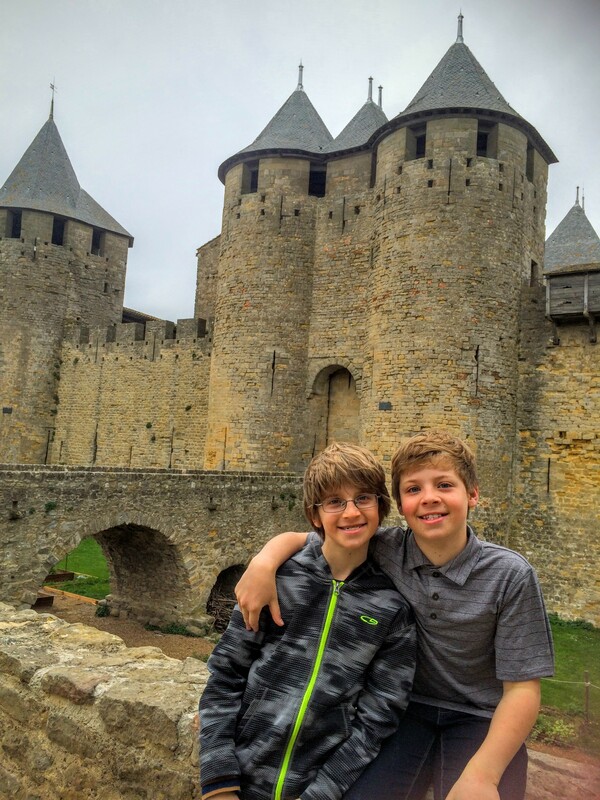 To back up a bit, we have these distant cousins – oddly enough, related through an American ancestor who went to France in the late 19th century – who live in a small village outside of the picturesque medieval city of Carcassonne. One fateful spring, one of them connected with my parents… and by the end of cocktails, they’d arranged to trade daughters for 6-12 months so we’d learn the other’s language. 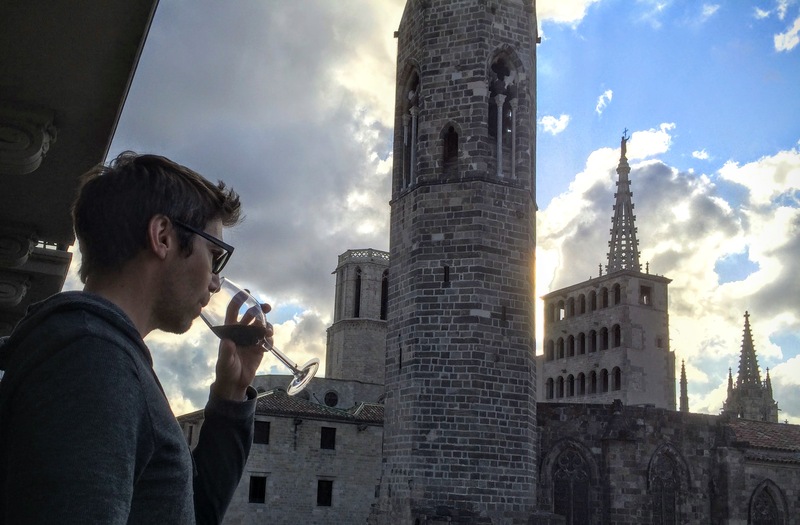 Next thing I knew, I was flying solo across the Atlantic to live in France for the year! Maybe they decided four daughters was better than five after all… or maybe they really did think it would benefit me for the rest of my life. Either way, it really did affect the rest of my life very positively, and even though it was not easy, per se, I did understand the value even at the time. It is THE main reason why I wanted to give the experience of living of abroad to our own children. Thanks to Facebook, I knew where my old friend was living (outside Perignan), and we were able to connect in person. This reunion was so much better than I imagined – I didn’t really know what to expect after thirty years, but we had a fabulous time! She has turned into an adult I’d be friends with regardless of a shared past, her husband was engaging and delightful, and her 15 year old son could not have been a better host to our boys. They’ve lived all over the world (French military) and are interesting, gracious and funny. We stayed way too long and ate way too much food – they really spoiled us. But it’s a good sign when it felt like we were leaving “too soon” after a mere five hours! As a side note, this evening was an effective re-orientation into speaking French and only French. Our arrival into Carcassonne was late, but coming in at night with the walled medieval part of town (“La Cité”) all lit up makes an impressive welcome. For me, coming back to Carcassonne was like coming home; it holds a special place in my heart. When I was 13, my French mother drove me to school in Carcassonne from the small village where we lived, and I never tired of that view, right out of a storybook. We invaded La Cité the next day, just up the street from our AirBnB, fortified by our “chocolatines” (the local term for chocolate croissants) from the local adorable patisserie. Carcassonne – at least La Cité – is another one of these places that can get over-touristed. But again, we were there at a relatively quiet time of year. We were far from the only ones there, but crowds were not an issue. 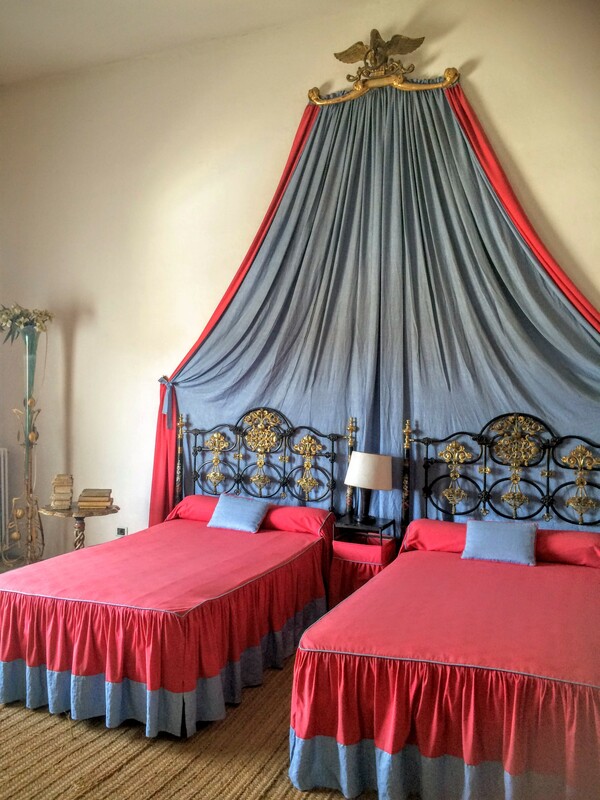 La Cité is the stuff of kids’ fantasies of knights and castles. I love it. The modern part of Carcassonne is quite lovely as well. PapaHatch and I both felt as if it would be a great place to spend more time. 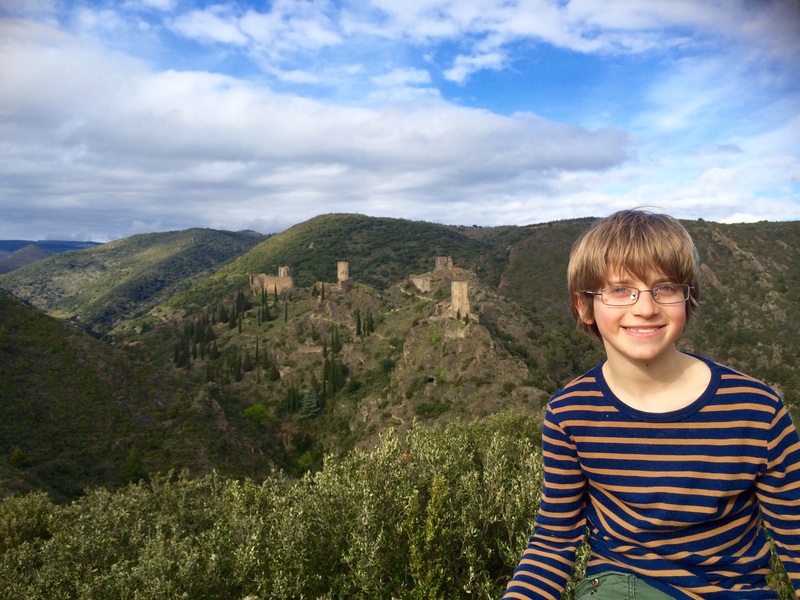 After lunch, we drove 20 minutes from Carcassonne to some great Cathar castle ruins: Lastours. 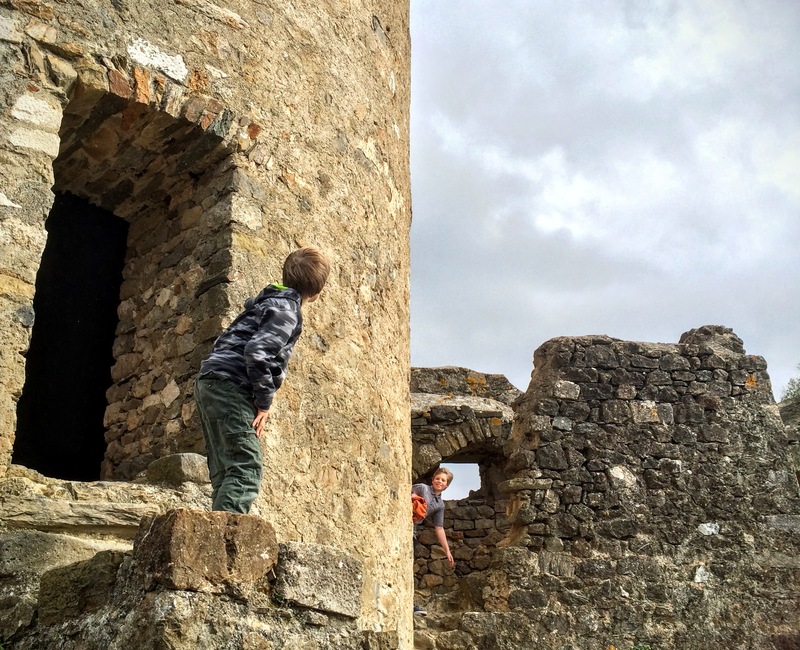 My kids actually prefer their castles in ruins, especially ones with no regulations and few railings between them and certain death. They were in HEAVEN with these “three towers.” This region of France, the “Pays Cathare” and environs is highly underrated, in my opinion. 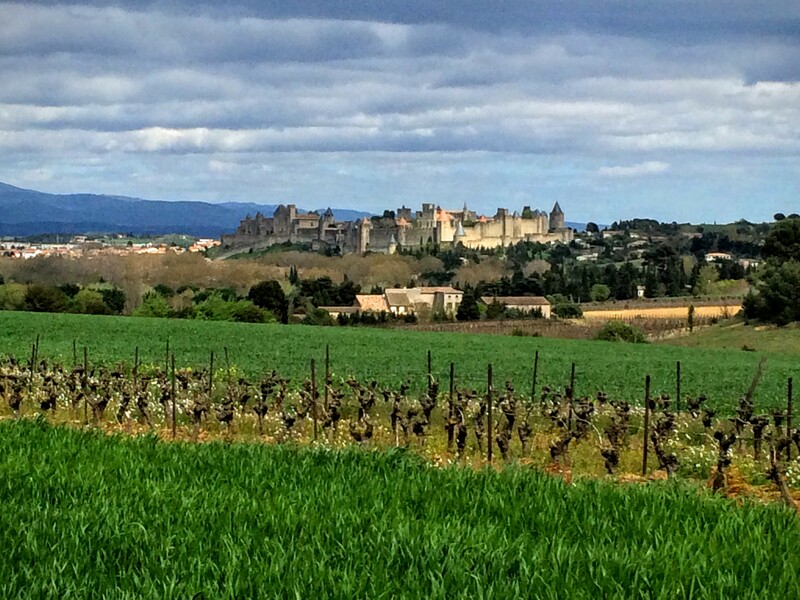 I find the countryside divine, the people friendly, castles aplenty, the wine excellent, and the food delicious (if a little heavy, featuring cassoulet and plenty of duck fat to go around). 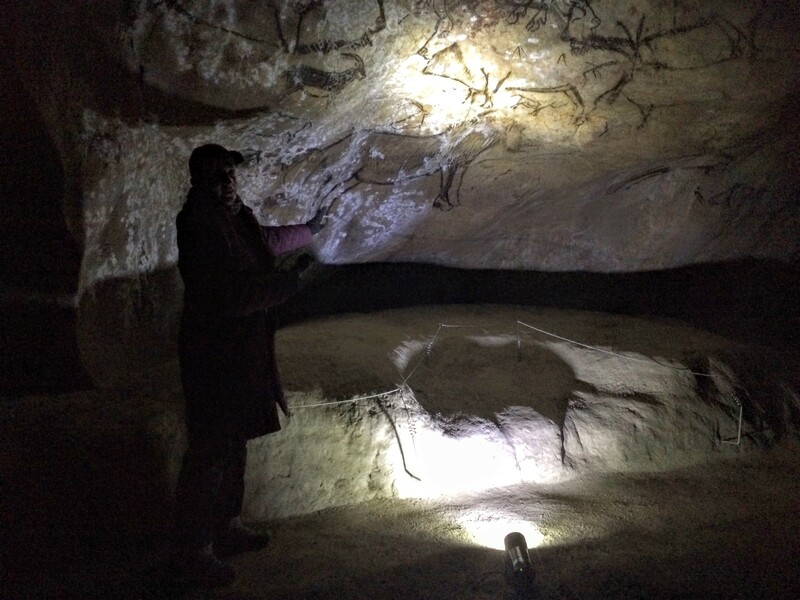 On our last “real” day of our trip before heading back to Switzerland, we ventured into the Pyrenees Mountains to see the 13,000 year old cave paintings in Niaux (great recommendation from our smarty-pants friends Erik & Jen). 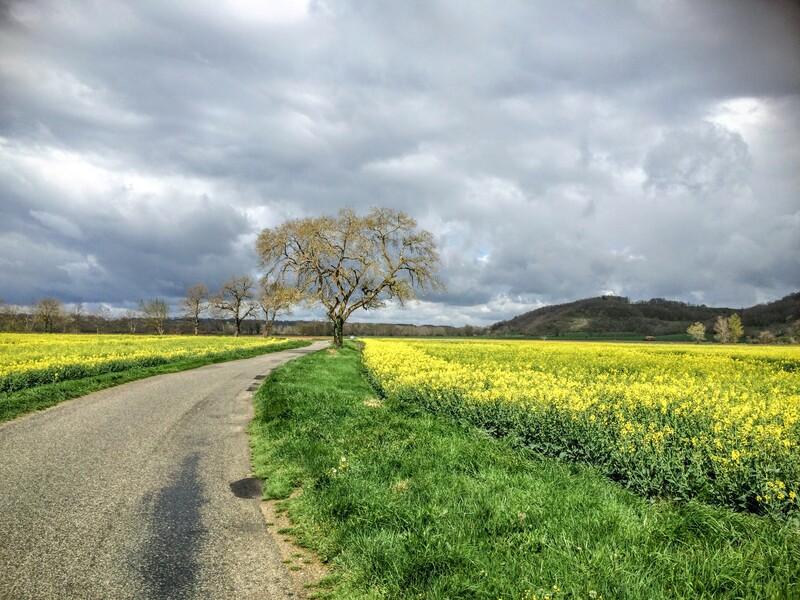 Travel hint: many of the better-known cave paintings in Europe are not actually open to the public … who instead pay to see replicas (cough cough, Lascaux, cough cough). With Niaux, we saw the real deal. They do monitor human-induced changes in the air and limit the number of people and time in the caves. And you do have to get tickets in advance – tours only, and there’s only one English tour a day. The guide was knowledgeable, and the 500-meter hike-by-flashlight into the cave was fun. 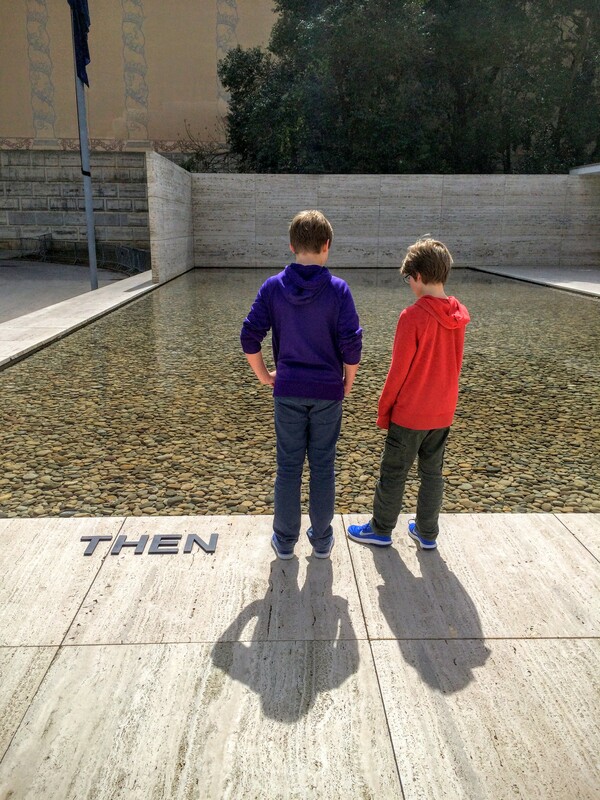 We marveled at stalactites, gawked at graffiti from hundreds of years ago and dodged puddles. The paintings themselves were so, so cool. 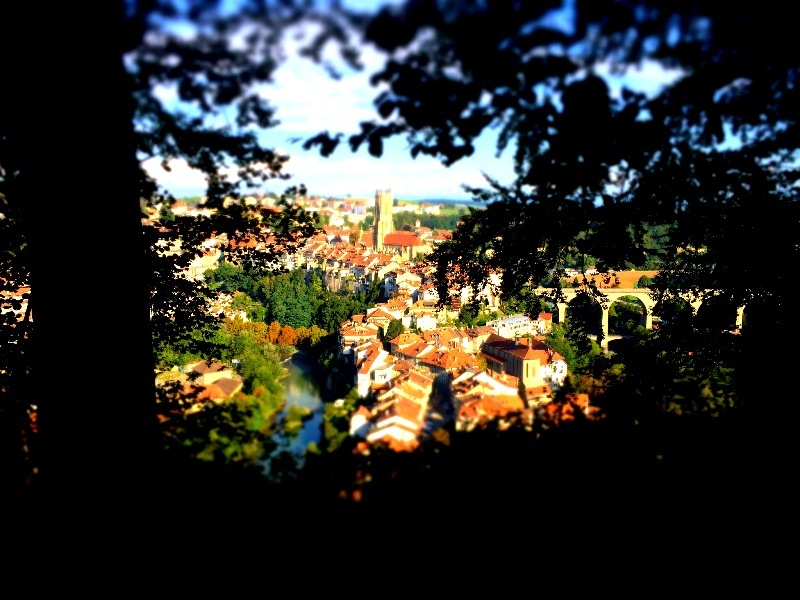 I don’t think Ernst has ever loved me more – a day of climbing ruins followed by a day of exploring caves? His mom’s so awesome! Just in case I wasn’t already convinced that reconnecting with old friends is the best, my “little sister” from my 13-year-old year hosted us for dinner in the same house I lived in long ago. I was very sorry to miss my host parents, who were actually in the U.S. for the birth of their grandchild – I guess I can’t really hold it against the baby…. (félicitations, Hélène et Frédéric!). 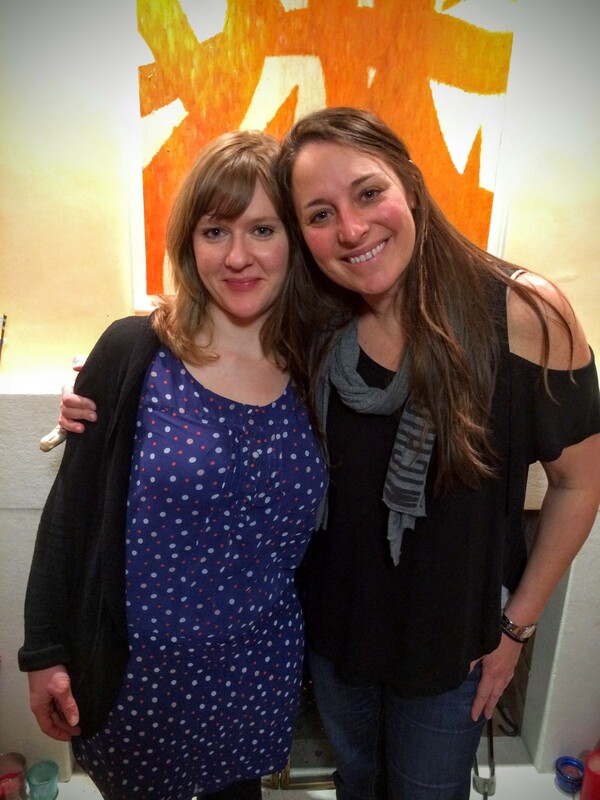 But it was really special to spend time with ma petite sœur Christine – and eat real cassoulet from Castelnaudary! On the long drive back to Switzerland the next day, we stopped for a break at the impressive Roman aqueduct, the Pont du Gard. Great museum (with hardly anyone in it) and a surprisingly beautiful nature area surrounding it – it looked like a great spot to camp, hike, bike and swim. This trip was a lot of driving; I am really glad we are saving southern Spain and Portugal for another time – it wouldn’t have done any destination justice to cut the time any shorter than we already did. It ended up being really a great, varied itinerary with excellent reconnections with old friends. That’s my idea of high value travel.